The Missler - Rozanski Memorial 5K has been established to recognize and remember Ryan P. Missler and Capt. Nicholas J. Rozanski for their service. Each had a life well lived, a life shared, a life that touched so many. 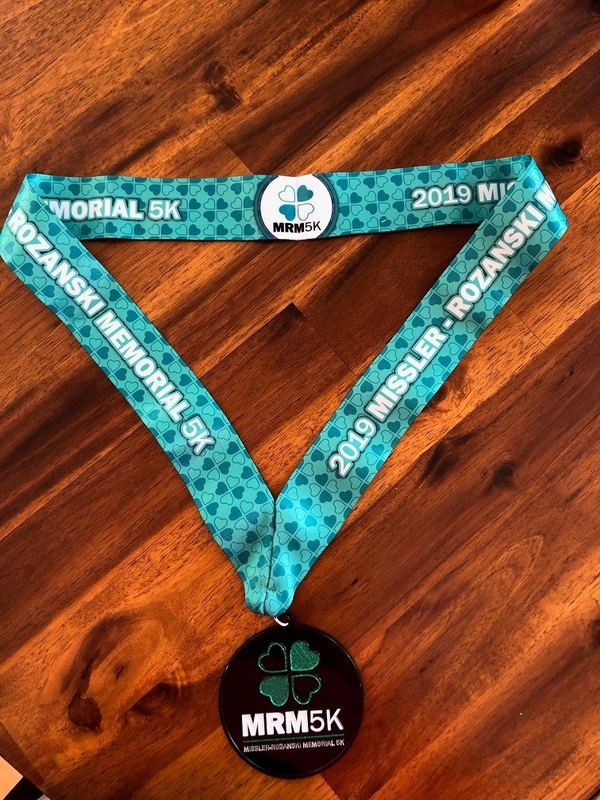 Please join the Ryan P. Missler Foundation and the Nick Rozanski Memorial Foundation as they team up to create the inaugural Missler-Rozanski Memorial 5K and Kid’s Fun Run at Glacier Ridge Metro Park in Dublin, Ohio. Ryan and Nick were both graduates of the Class of 1994 at Dublin Coffman High School. As a way to turn tragedy into something positive for their communities, both families established foundations. To remember Ryan and Nick and give back to the Dublin community which they loved, proceeds from this run will provide scholarships for local Dublin high school students. Note: Entry fee does not include event shirt. Event shirt is optional purchase during registration process. 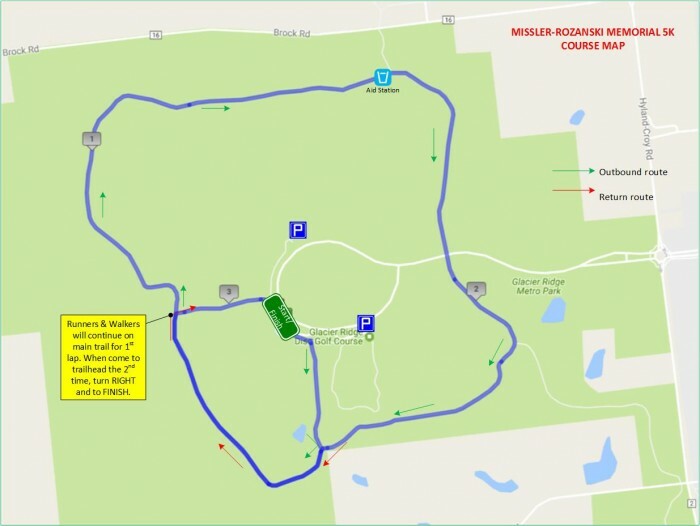 Race day at Glacier Ridge Metro Park 7:30 am - 8:15 am. The top 3 Male & Female Overall Finishers will receive a commemorative award. All finishers receive a great-looking medal! Race time will be indicated by race clock at Finish line only (name will not appear in overall reported results). Captain Nicholas Rozanski was a member of the Ohio Army National Guard’s 1st Battalion, 148th Infantry Regiment of the 37th Infantry Brigade Combat Team when he was killed by a motorcycle suicide bomber in Afghanistan on April 4, 2012. Nick served in the Ohio Army National Guard for eight and a half years. The military was a natural fit for Nick and he excelled at it. Nick was very modest about his military service and never wanted the public recognition for it. He simply felt that he was doing what was right for his country. Nick was awarded the Bronze Star, Purple Heart and Combat Action Badge for his bravery and valor in Afghanistan. The Nick Rozanski Memorial Foundation was established shortly after Nick’s death as way for his family and friends to continue Nick’s legacy of service to his community. Through scholarships and other charitable donations, the Nick Rozanski Memorial Foundation hopes to give back to the communities that had given so much to Nick. The Ryan P. Missler Foundation was created in 2015 following the sudden loss of Ryan in 2014. Ryan was a beloved husband, father, son, brother and friend to many. Ryan had a zest for live. The motto “Live Every Moment” was something Ryan truly took to heart. Ryan was a leader who always had a positive attitude, and he had a special ability to inspire others to be better. At his core, Ryan was a giver and he strongly believed in supporting causes and foundations that were meaningful to him. The Ryan P. Missler Foundation helps to honor Ryan’s memory and continue his legacy of giving back to others. The purpose of Ryan’s foundation is to fund scholarships and provide charitable donations and other philanthropic endeavors in Ryan’s honor.